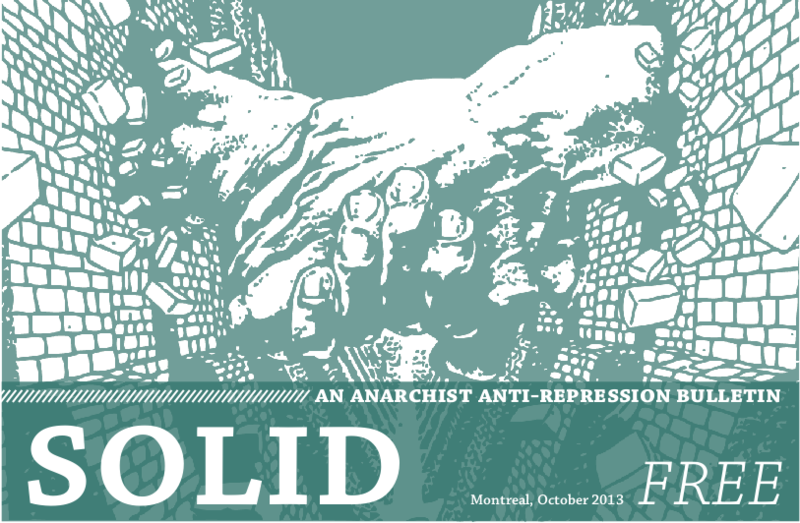 The site LaSolide.info took a break during the summer to focus on creating this bulletin. Inside, you will find news on comrades who face repression, a text explaining revolutionary solidarity, a series of recent solidarity action briefs and a stencil cut-out to reproduce!!! Printed in Montreal, October 2013. Paper copies available at L’Insoumise, 1407 and La Belle Époque.